Alibaba Group's Cainiao Network and RoboSense jointly released today G Plus, the world's first solid-state LiDAR unmanned logistics vehicle. 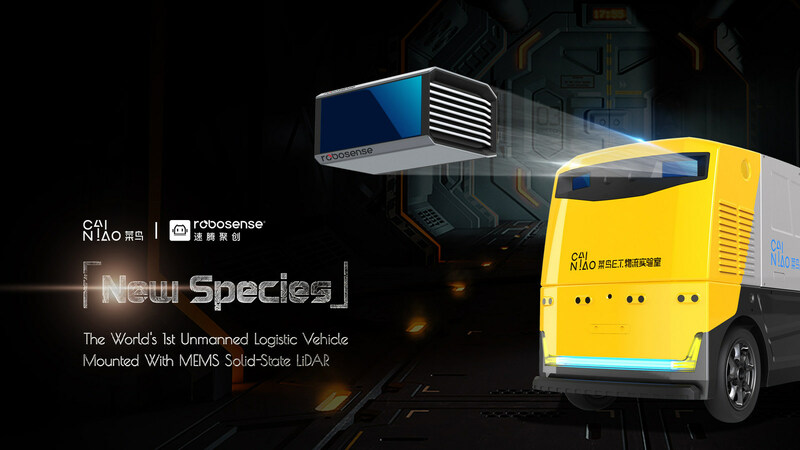 Announced at Alibaba's Cainiao Network 2018 Global Smart Logistics Summit, the G Plus driverless delivery vehicle provides solid-state LiDAR technology, RS-LiDAR-M1Pre, developed by China's RoboSense. This is the first time that solid-state LiDAR has been used in the development of an unmanned vehicle. Alibaba's Cainiao G Plus is equipped with three RS-LiDAR-M1Pres, two in front and one in rear, to ensure the most powerful 3D perception for driving. This allows vehicles to clearly see the direction of travel: shape, distance, azimuth, travel speed, and direction of travel of pedestrians, cars, trucks, etc., as well as exact areas to drive, ensuring smooth flow of unmanned logistics vehicles in complex road environments.